Poll results: Do you think that the new Galaxy A (2016) series warrant their pricing? 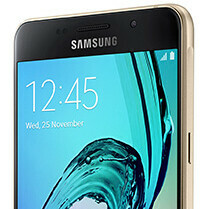 The new A3, A5 and A7 (2016) by Samsung boast prices that are a tad higher than the original A-series at launch, but the phones also sport much upgraded hardware and a new exterior, too. Given the handsets you can currently get in the $300-$500 range, we asked you whether you think that the A3, A5 and A7 (2016) are charging a "Samsung premium," or if you consider their pricing reasonable for what they offer. It turns out that just a quarter of our 1120 respondents consider the new A-series reasonably priced. The rest are either outright dismissive (46%), or will take the wait-and-see approach until the first reviews hit the Web. Of course it will be no, most people here only care about specs-to-price ratio. It's a no because there are better options in this price range. Lg already fixed the heating issues after the 5.1.1 update. Like loveneesh said, S5 is the ultimate upper-mid ranger right now. It's only flaw can be design but rest beats even some flagships this year. Basically any flagship from last year will net you a better price to performance ratio. S5,m8,g3, I bet the g2 outperforms the A Series and they are supposed to get M at some point. Granted these probably have better build quality than any of the phones I have listed besides the m8. Still my answer is not just no but hell no You can do MUCH better for the price. Good for you that you have access to this devices. For me it is absolutely imposible. So A series for uper mid range serie is a solution for me. It's a no because this phone is a perfect example of fragmentation. Android 'eye-bleed' Lollipop on an upper-mid range device instead of Marshmallow in this time is absolutely unacceptable! Hell no, they use crapdragon 615 and 410. Overpriced for the spec challenged users, of which there are many. You should add some competing devices' prices in Euro for reference. U.S. users do not remember the European prices of every other device. The A3 will be $450 in Australia I bet. Warranting their pricing or not is up to the whole users in real life. You can't just take such a lame poll and proclaim that it is generally people decision because this site is full of Samsung haters/trolls. Seriously, Phonearena, your site isn't a real tech site at all. Most of your articles are clickbaits and then you bring these trolls and haters here to bash Samsung and finally generate traffic, I already see this tactic. I'd like to see a poll asking if Phonearena is a paid site or not, that sounds more legit. With the prices that these devices have I would most definitely pick up the Moto X Pure Edition or the Moto X Force, heck even the LG G3/4 seem to be a better deal when compared to the 2016 A series. How about the HTC One A9? The cut-off price for these mid-range devices should be $400, otherwise more is approaching flagship price intervals. If you guys are going to do a poll on the whole Samsung series of phones, then it's going to take a full year to accomplish. Sammy releases a phone of some sort everyday. Here is a fact and to save bandwith on the PA page, none of the products Samsung makes, tv's, stoves, refrigerators, dvd players, washers, dryers, etc. warrant the price they sell for. Don't even get me to talking about the overpriced refrigerators that probably are the most documented for repairs after being one of the most expensive in the store!!! Bring it on techiexp.... yawnnn! The thing is, Samsung is one if 2 or 3 manufacturers making money on Android, and literally the only major one making money off televisions. They sell at prices that actually make them money, which is something I promise you most of their competitors would kill to be able to do. Basically every single one of these high specced low priced phones are being sold at cost or at a loss. The only ONLY reason companies like leTV or Xiaomi make money is because of their services and virtual markets. If you are comparing Samsung's prices to manufacturers selling devices at cost or at a loss, then I could see where you're coming from. Which is the case with the overwhelming majority of these high powered rock bottom price phones. One plus for example has explicitly said as much. So what exactly is your definition of overpriced?